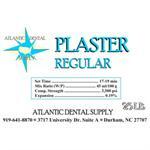 Our fast set plaster is the same as the regular with a slightly shorter set time. 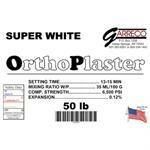 Our Orthoplaster is high strength and designed perfectly for orthodontic applications. Our regular set plaster is the lab workhorse, mixing smoothly with excellent working characteristics.